Please can anyone tell me what to do? are the severs down because it says failed to connect and someone is already loggin on this account? Id like to know if Albion online will be comeing to console because my android is out of date and my mac is not powerfull enough. I really hope so because this is everything I wanted in an mmo a true player driven economy territory battles ect. Im so happy that its finally out I just want to enjoy it as well. @Korn, Anthraxy said you could answer my question. been playing this game for 2 1/2 years. i dont have a problem with it for other reasons. but the price of food and the amount needed to keep stores running really cripple brand new guilds or new players. I dont feel like its been this bad in any previous versions of this game, is there any possible insight you can give me into this? thank you, you awesome. I hope you a happy day Sir.! I am sorry for my message because it was on the wrong place ! My friend got banned on 21/7/2017 for auto-clicking .U guys banned him, ok i get that but it says that u can play in 2217. Like, come on guys, 200 years?How can he live for 200 years?This means u guys stole his money.He paid for the pack and now u guys banned him forever for just a simple mistake. So please i request u to give him another chance to fix his mistake. He is a Epic Founder Pack user and his name is Rejjaq. Please please please give him another chance, i beg u.Thank you. hi admin, when will the server will be up finished maintenance?? Thanks for the updates. Just sucked to wait 1 hr for login then get kicked back out and have to wait another 1 hr. Wow...this is unreal. I paid over $100 to play this game and I can't even log directly in...I have to que...this is a rip off. It wasn't like this before the official release. So there is this player in the AOC discord, they were talking about how bad this game is because "SBI" is a bunch of liars, I am not here to take sides but I do have to ask this question. So last beta a player by the name of Lilith I think was banned for life from this game, and told by customer service that they illegally purchased gold, and to this day are still being accused by staff of SBI of cheating the game buying currency illegally from 3rd parties which I find hard to believe given they have shown us transactions of their purchases within this game, and not from 3rd party websites. Instead I believe the player to have still cheated this game because what they did still was cheating and broke a rule during beta they exchanged currency across a game called Arche Age to Albion Online, but did not know this would get them ban. I ask SBI how this company can just hold everyone guilty for cheating on any first offense a player has ever done, yet other people who actually did cheat the game in previous alpha / beta never got banned for life for actually cheating, and I trust and believe this player I believe they are a honest person and would never actually break the rules intentionally. So why does this player deserve a life ban for simply accepting a trade they did not know was illegal and said they would never break the rule again, I mean something so minor? Is there actual evidence that puts this player cheating the game besides a chat log of Hi, Im Delivery, is there actually any proof of this player making and purchasing Real Currency from within the game, or did this player just violate 4.5.1 which says large trades will be assumed to be purchased for real cash? Hey Korn, i've created a character for my friend in hope of saving his name and not realizing that once a name is taken it cannot be deleted and remade on another account. Was wondering if there was anything you can do to help my friend and I out in this situation. Congrats you have taken me back to 1993 where Dial up Exists and I can download patches at 40kb. Thank you for this journey through time. I bought the epic founders pack on July 9th and now I have the money to upgrade to the legendary but it won't let me. I don't see a point to spend $100 for the legendary starter pack just to get some gold and play one day earlier. I was wanting the ox and house and the gold border. Are those options completely gone now? They made no option to upgrade.. they use seperate terms like "founders" and "starters" as if you didnt pay the same exact amount...but yes you cant upgrade.. you now have to pay $100 more if you want to play 1 day sooner. HEY WHY THE HELL DO STARTERS GET TO PLAY BEFORE ME? Sorry for referencing to you in quite some posts, I just don't know whom to better direct them too. I am really exited for launch and i am sure it will turn out great.I assume you now have some hard 2 weeks ahead...until launch. Hi korn , i have the fix to the hg probleme is it quite simple 3 steps easy peazy as we say ! 2. Yellow hellgate have to be full loot pvp 5.1 or 6.1 caps.People die and you can loot them but actually the gears is capped so they cant fight big t7-8 teams. The loot has to be T5-6. 3. RED+BLACK has to be connected together = they need to be no cap + better loot cause at the moment there is no reason doing them we pvper's risks (7.1 artefacts sets = 1,5-2M for a 200k rewards max average)....... its stupid. 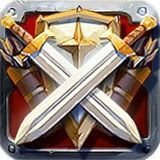 I'm a visitor at albion online and i haven't played the game yet ,though its an awesome game ,there a few things to consider by the producers to make the game at its absolute best. For years,me and my friends used to engage in online games such as COC and clash royal,we always did enjoy playing them because they were awesome and short term games (like for a 5 minutes max per hour)so we used to play them while studying take a 5 min brake then get back to our studies and even in the gym while lifting weights log in one time each 2 hours period then continue our daily life without forcing our time into it and forgeting our work and our studies. For albion online its really a one of akind game, its features are exeptionnal and its graphics audio and gameplay are at a level for MMOs never seen before. Nevertheless, it can be a very addicting game for players that are unmature and also for 18 to 21 years old players, and yes sometimes too much of something isn't good (said by the most successful classmate both an exeptionnal athlete and a brilliant student). At the beginning of the game ask the player questions considering why he wants to play the game , his job , his age and then calculate the time limit for him to play the game per day.Why? Well all in all but not in last ,the most successful games are the ones that accomodate a time limit for a person to play the game each such as COC which has a 5 hour limit then the game will send to the player a note telling to do something in his life rather than playing the game all day long. Finally the most heard phrase my friends say when i'm telling them about a game that is gonna be exeptionnal and awesome while inviting them to play with me is "don't thing like that bro ,a game is playable if it doesn't take a lot of the players' time in a day". Thank you for your efforts and consideration. Do you think that this could be a great implementation ? hey Korn haha almost sounds like acorn..i like to build buildings in game but realized we dont get t5.x stone, so i was wondering if in the future its possible for us to craft tX.x buildings where they may give some extra bonus like faster craft time and such while of course adding a cool visual change to the building like a glow or maybe different looking worker. Just a suggestion for your player crafted mob drop system, instead of the loot table being dependant on only black market sales (from player to npc) perhaps use the items that crafters have used to STUDY. This way there wont be a low supply for the loot table & black market sales wont damage the city market prices. Also restrict the loot to that of only 1 tier higher than the mob. (Example: a T4 mob can only drop T5 and lower.) This way players cannot get a T8 artifact piece from simpily killing a T4 mob- which would be very undeserving. I apologize if any of this has been covered, i didnt have the time to read through the 9 page forum post about this.